Wedding photography only became popular after the 2nd world war. Before this most people couldn’t afford to have photos and the equipment of today, was not available. Wedding photography started around 1840, and was not of the ceremony or wedding itself, but a formal photo in their best clothes either before or after the wedding. In the late 1860’s more couples posed in their actual wedding clothes. Most of these were shot in a “studio” due to the bulky equipment and poor lighting. At the beginning of the 20th century, colour photography became available, but was still unreliable and expensive. Then after the 2nd world war, photographers would show up at weddings and try to sell the photos afterwards. This then forced the “studio” photographers to start working on location. 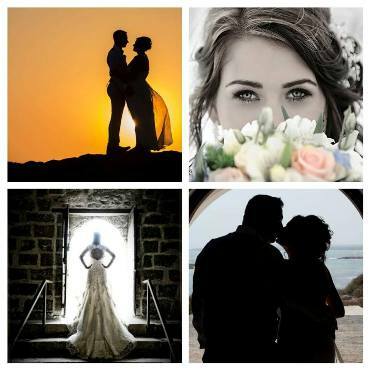 The photographer we at Aphrodite Weddings use is Christoforos Lysis Photo Studio, and, we have worked with him for over 20 years. He is a true professional, who has been a photographer since 1997, who he himself says, “lives and breathes photography”.